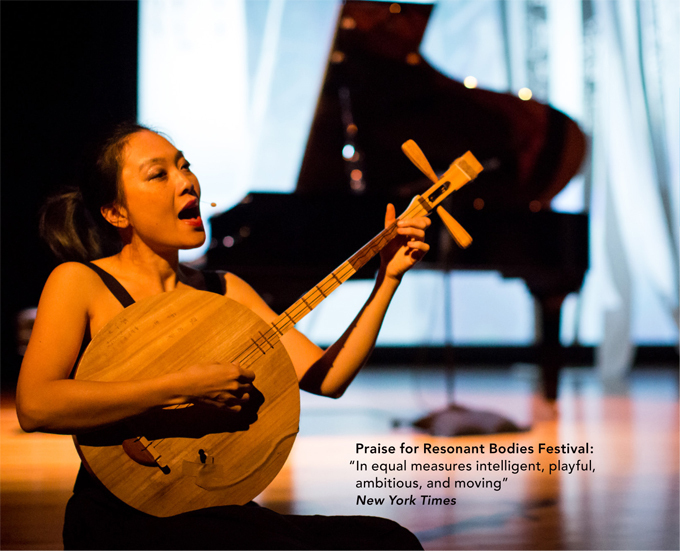 Supporting the growth and evolution of contemporary vocal music and vocal artists, Resonant Bodies Festival invites artists to curate and perform their own sets, with no restrictions on repertoire, format, or style. Lucy Dhegrae founded Resonant Bodies Festival in 2013. A passionate vocalist, she has performed with International Contemporary Ensemble (ICE), Talea Ensemble, and Albany Symphony, and is a core member of Contemporaneous. Paul Pinto creates and produces experimental chamber music and theatrical works and is the founder and co-director of thingNY and Varispeed. Jen Shyu is a multilingual vocalist, composer, producer, multi-instrumentalist, and dancer. Her performances have been on annual “Best” lists including those from the New York Times and NPR. 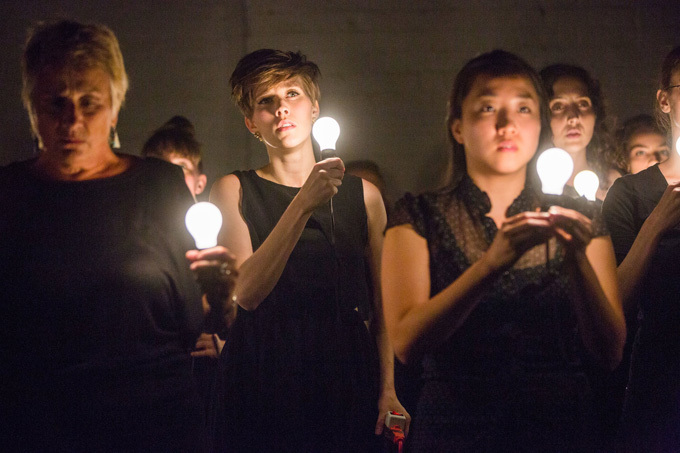 Resonant Bodies Festival produces new vocal music performances in New York City and beyond. RBF 2018 opens September 11-13 in NYC at Roulette.